Celebrate Valentine’s Day — or, if you prefer, Galentine’s Day — with this chocolate-themed tea. Featuring all new chocolate and chocolate mint teas, plus three tiers of delicious high tea food. 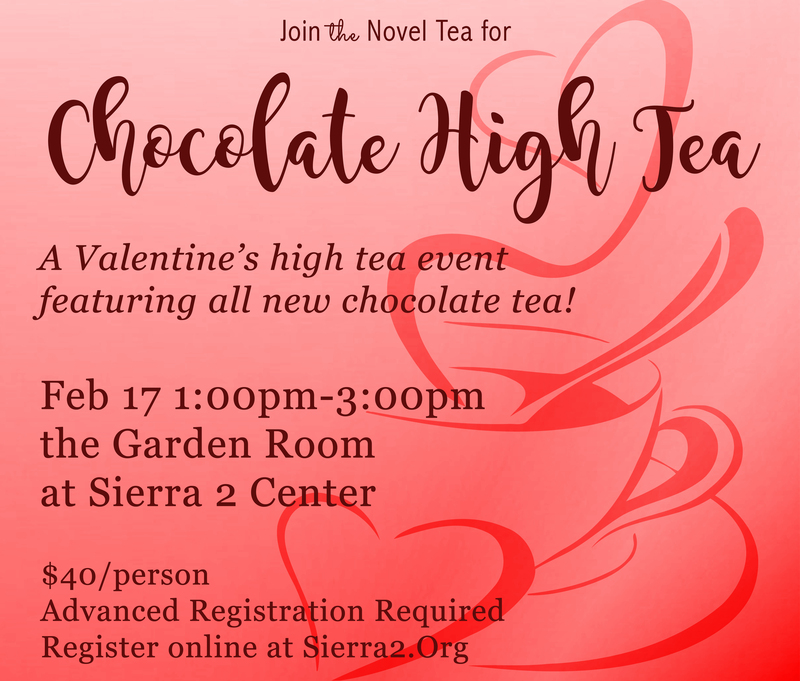 The menu includes high tea classics, as well as special items created just for this event, such as a chicken mole, chocolate chip scones, and a truly decadent top tier! This is a great social experience for tea and chocolate lovers. Celebrate the ones you love with this sweet high tea event. Other ways to register: Call Sierra 2 Center during business hours at (916) 452-3005 x 208, or sign up in person at the Sierra 2 Center office.